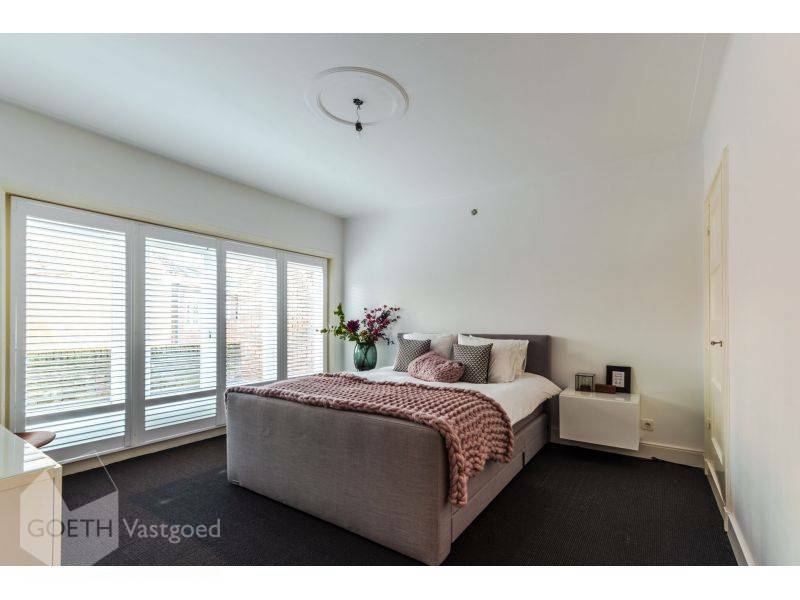 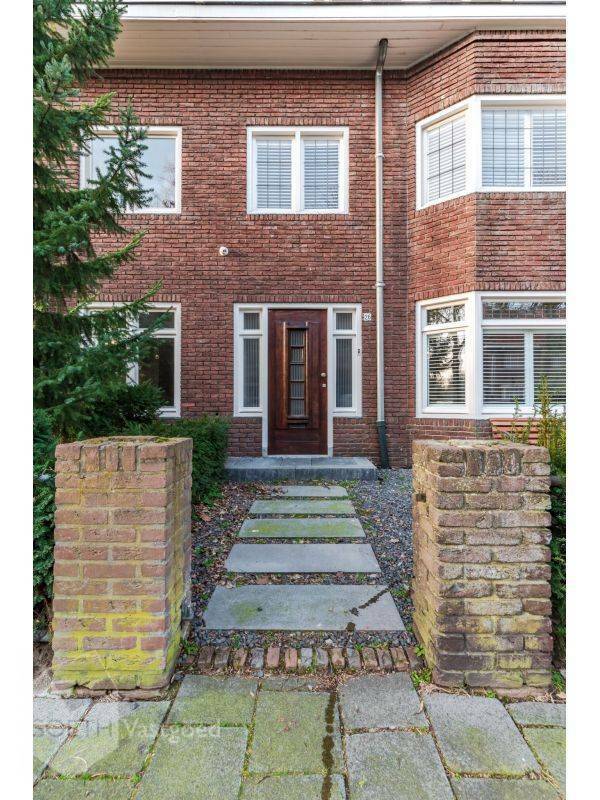 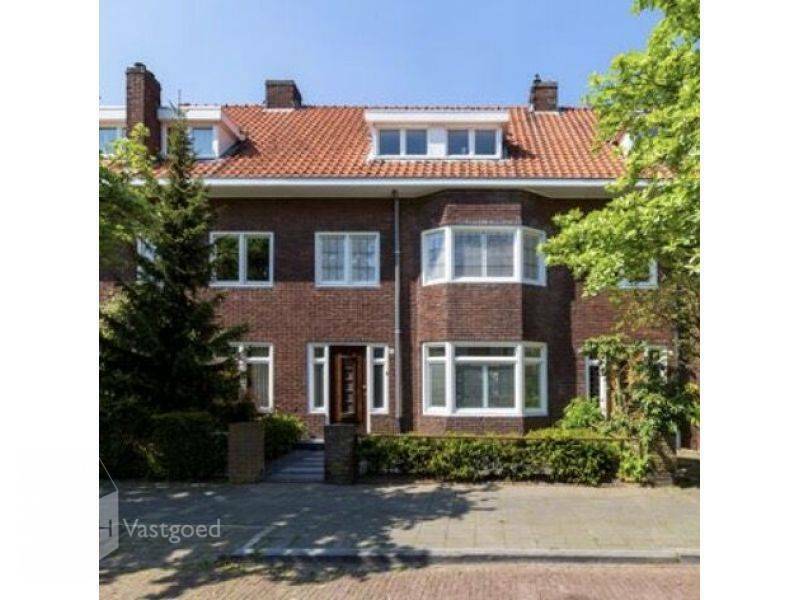 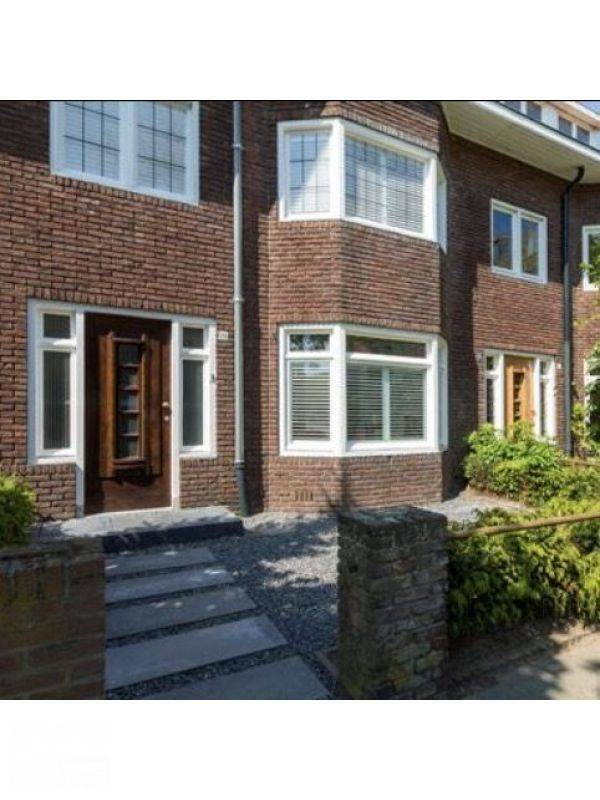 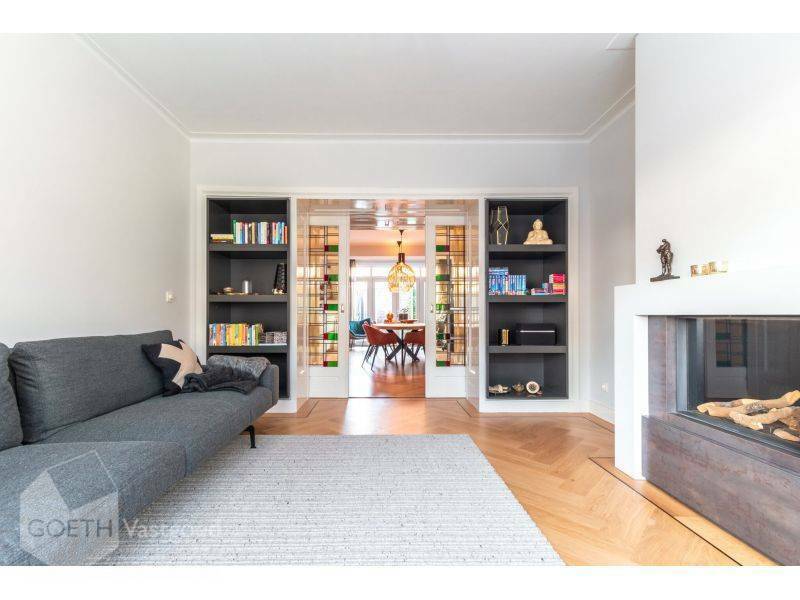 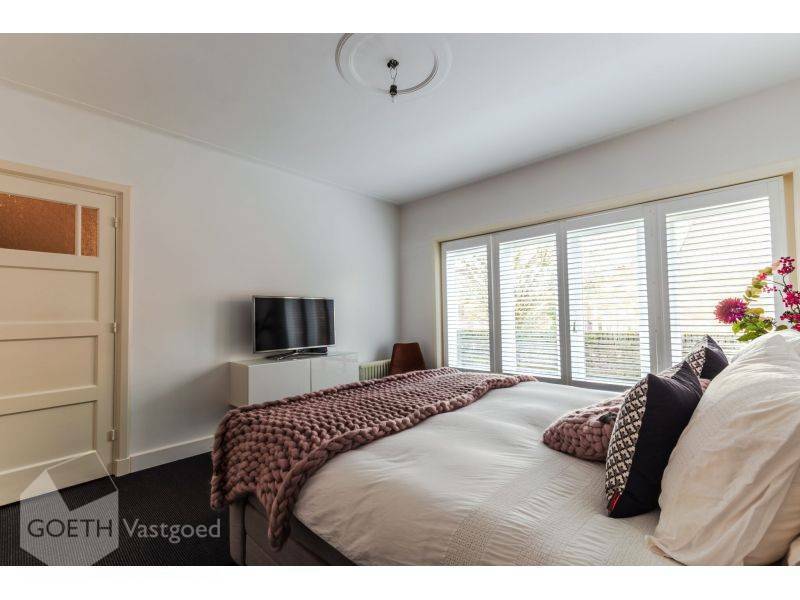 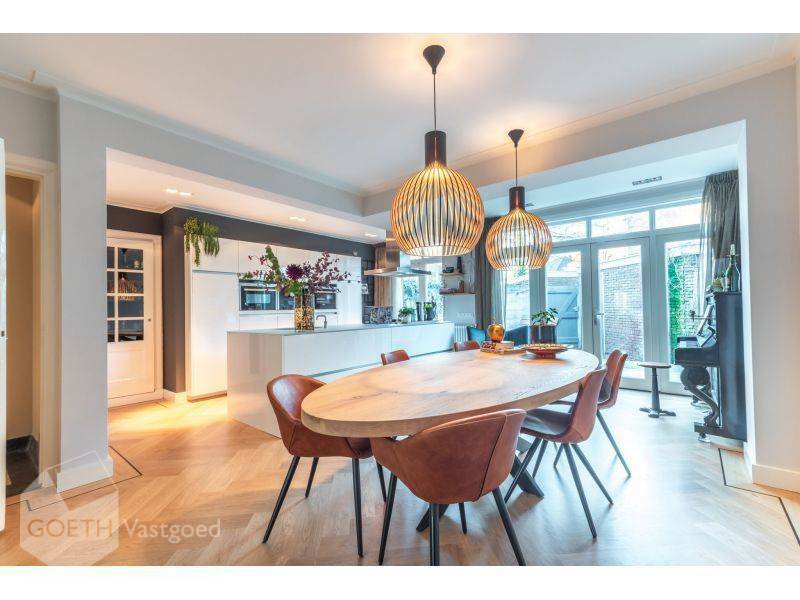 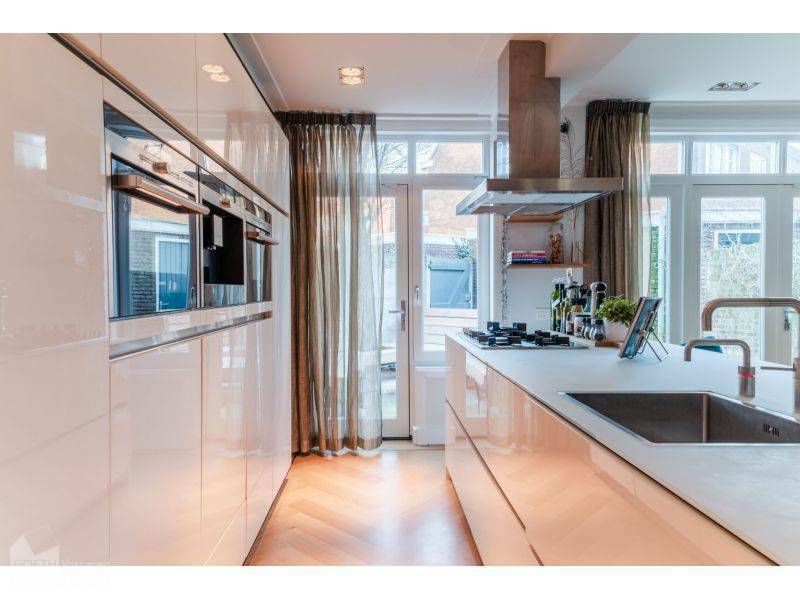 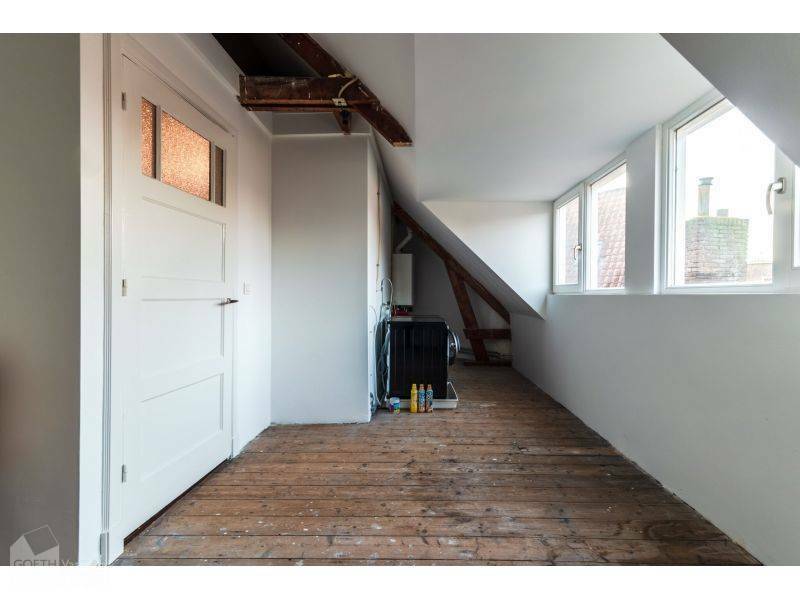 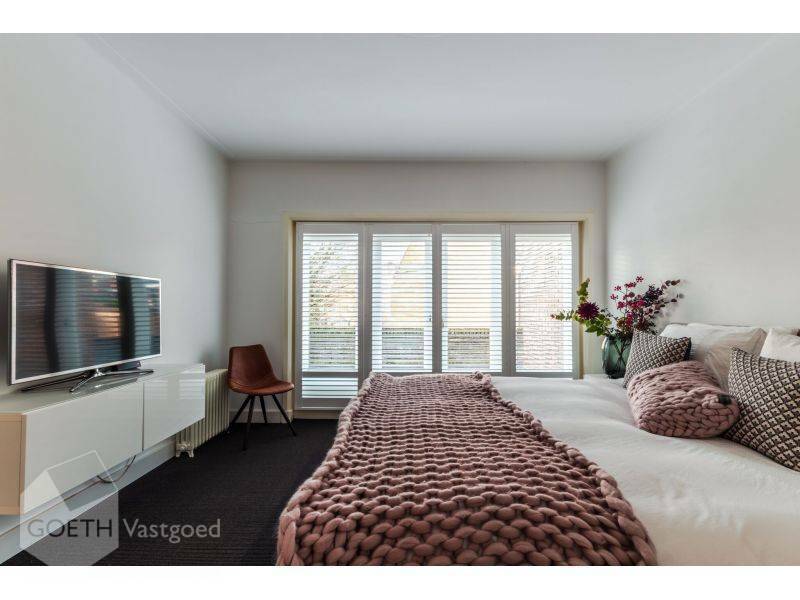 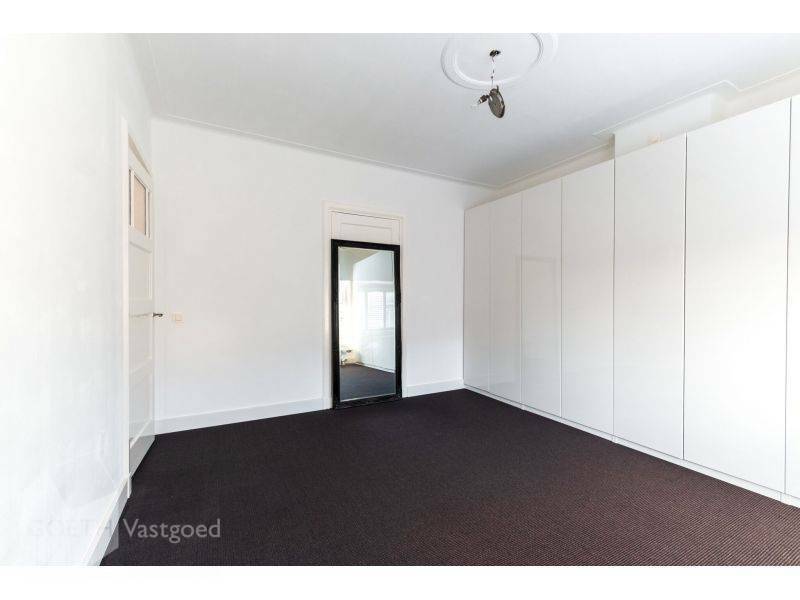 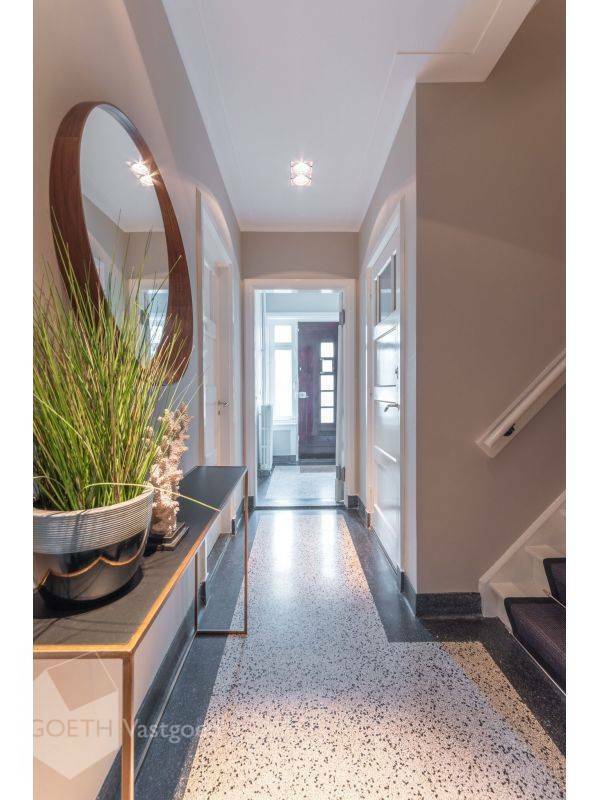 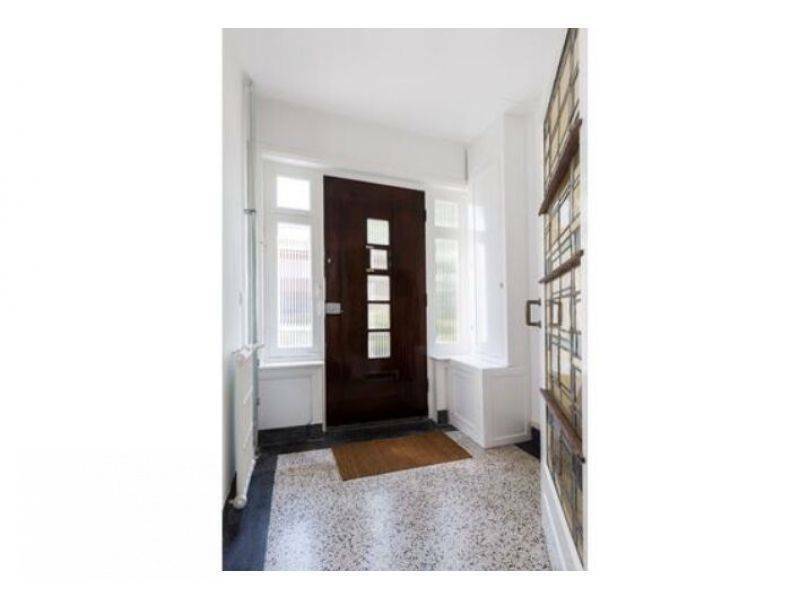 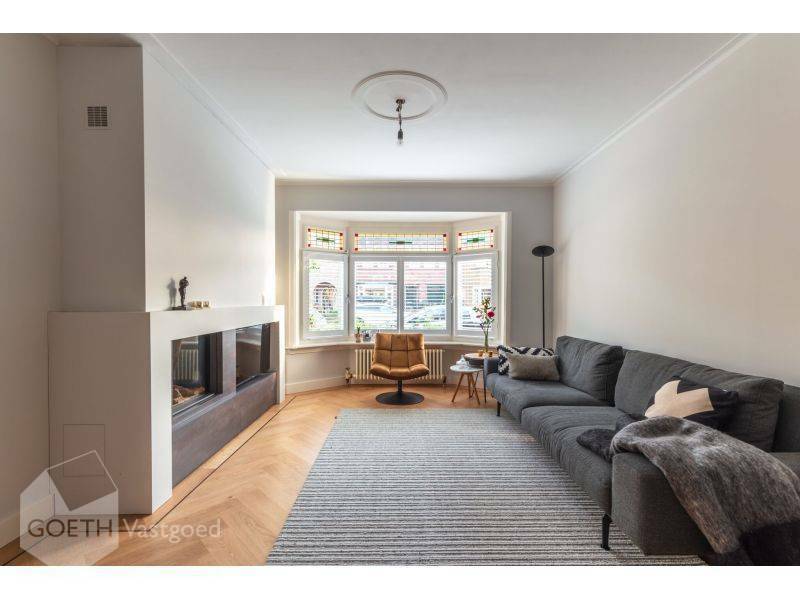 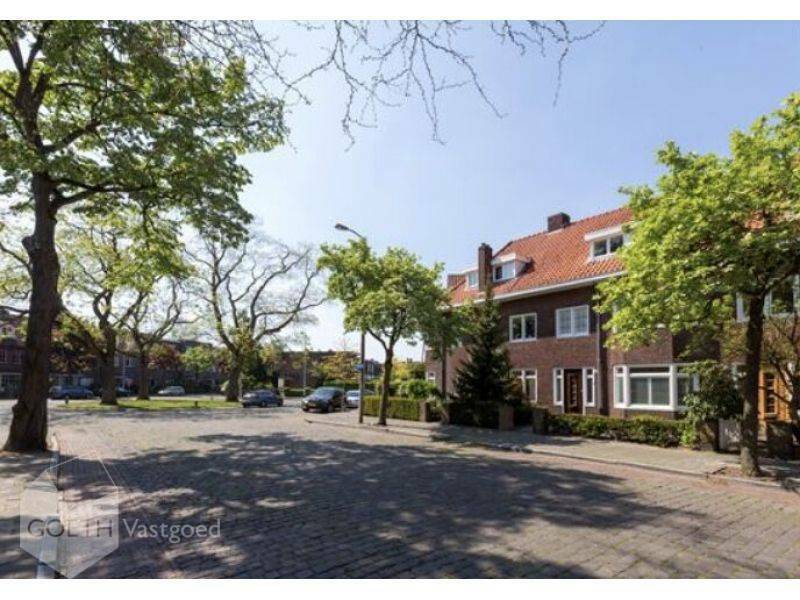 Fantastic renovated, very spacious house located in the beautiful neighborhood 'Schrijversbuurt' in Eindhoven. 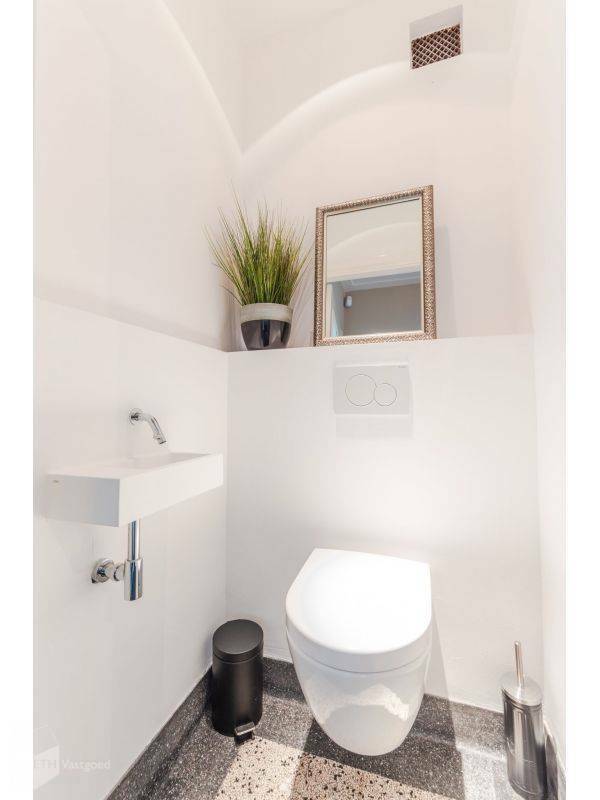 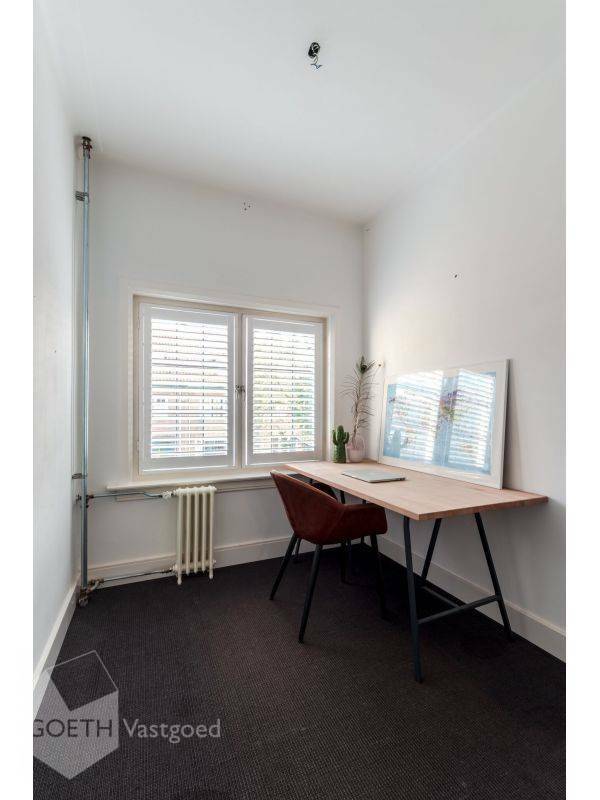 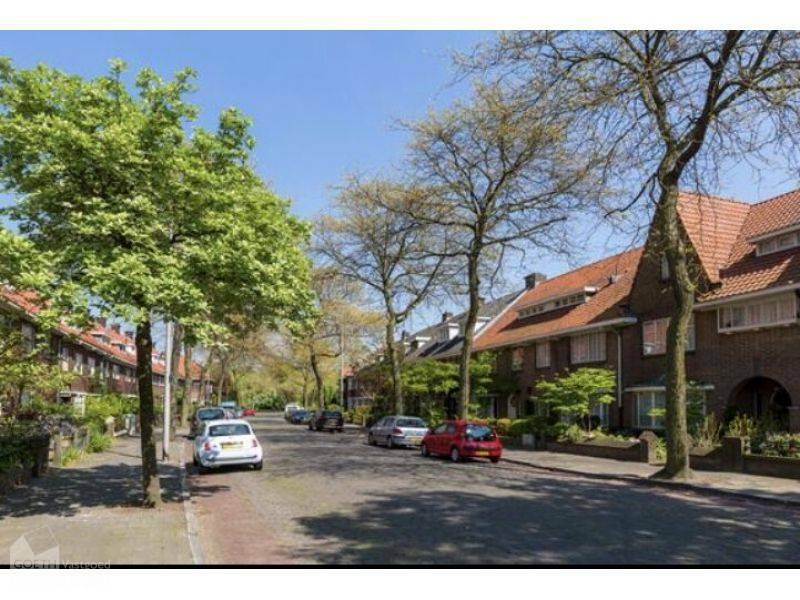 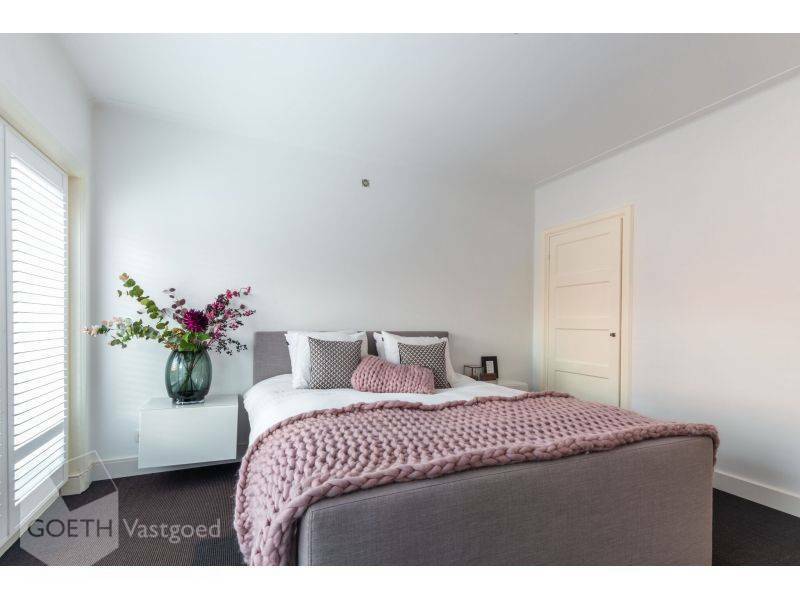 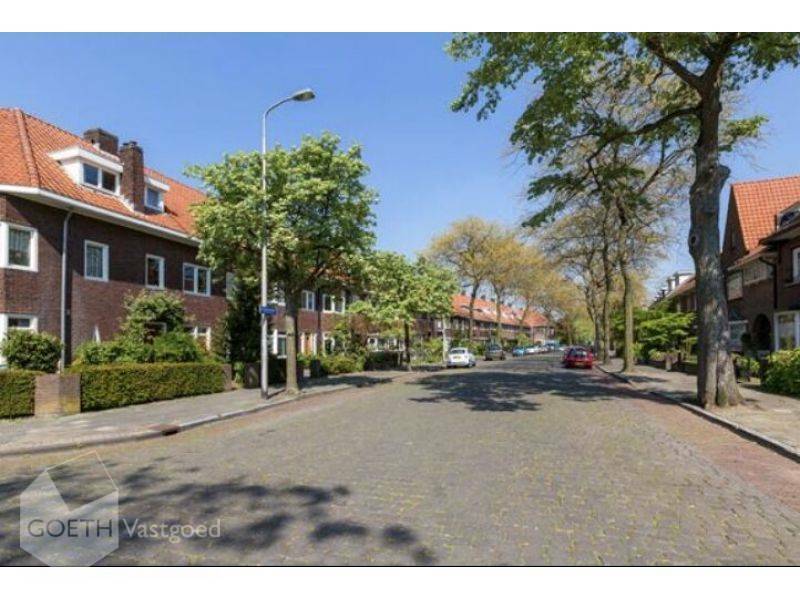 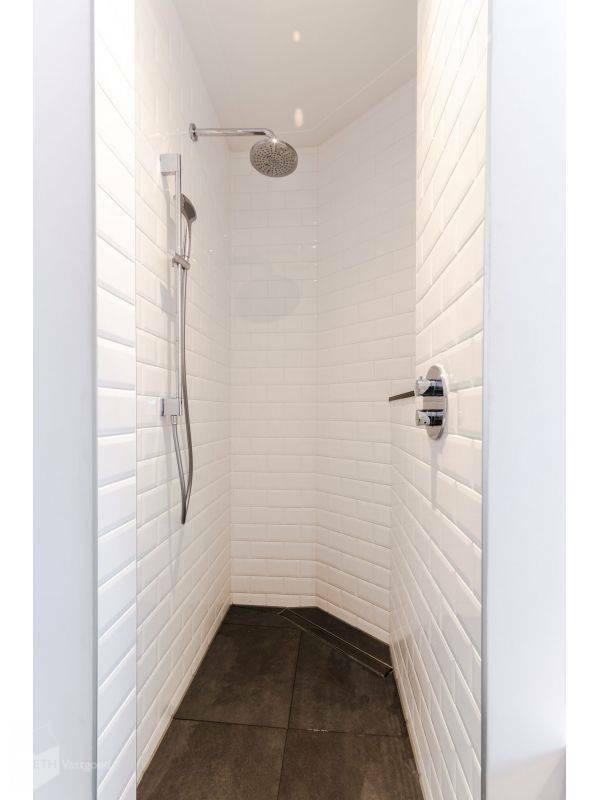 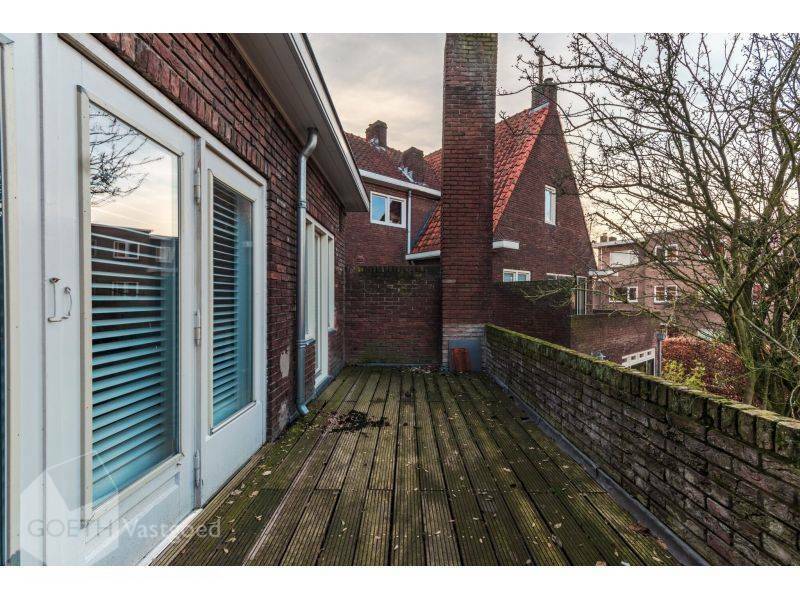 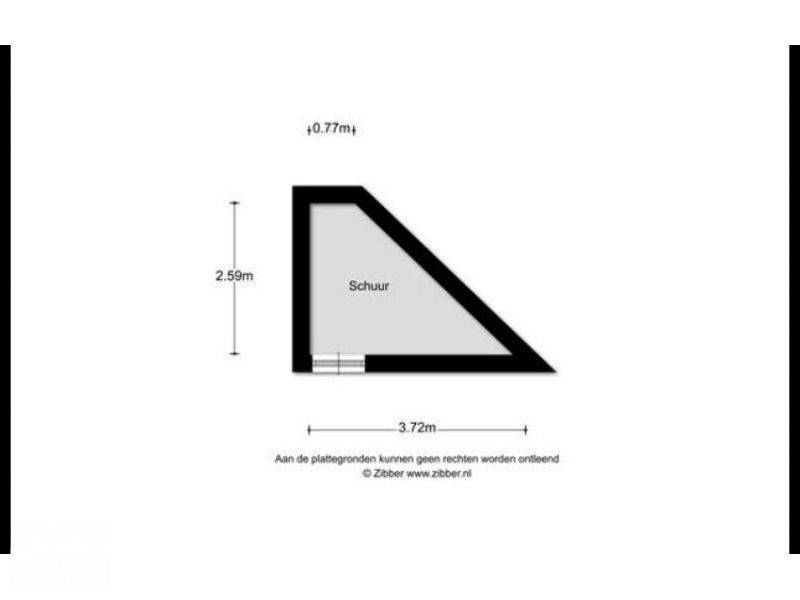 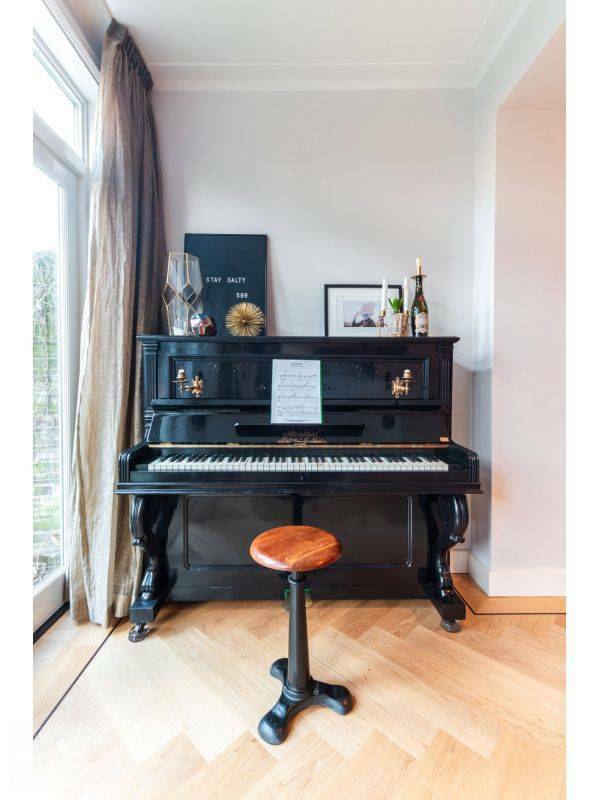 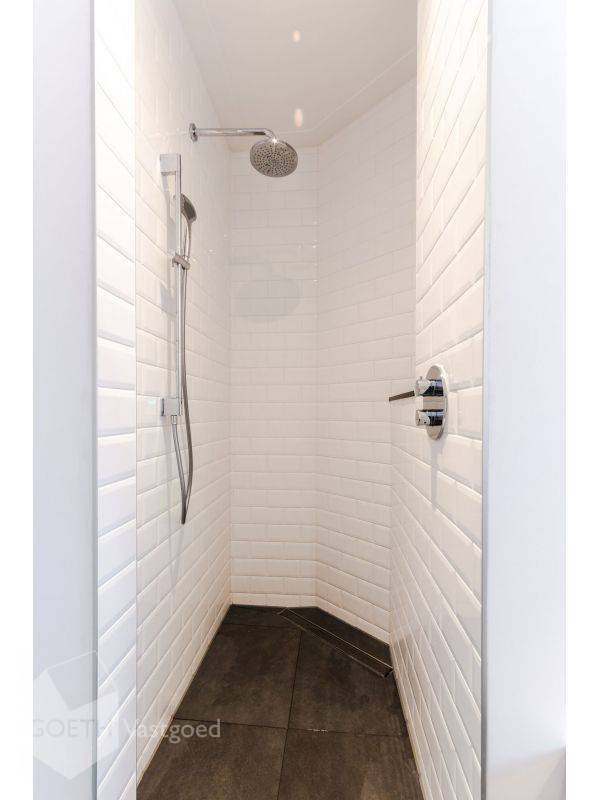 Cozy living environment and within walking distance of the center of Eindhoven and all other amenities. In recent years this house has been completely renovated on almost all fronts, but still contains many original details. 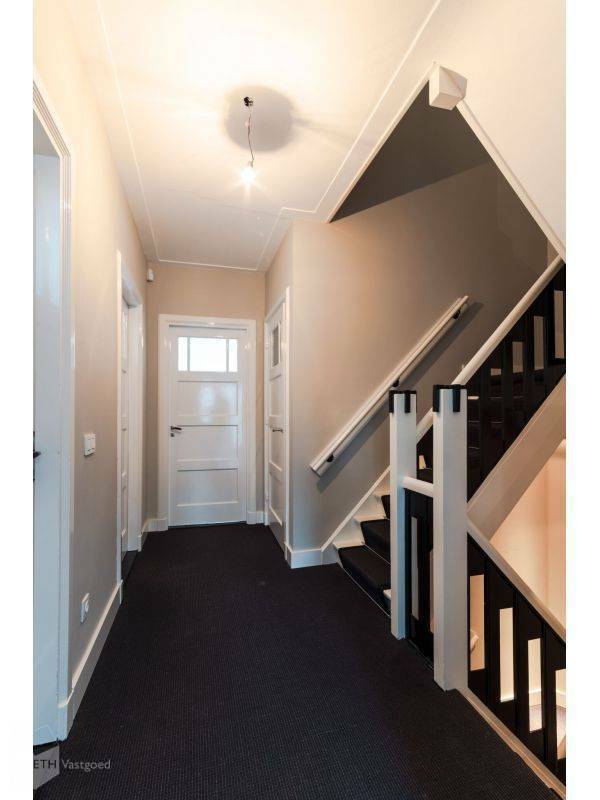 Entrance with porch, spacious hall and beautiful staircase. 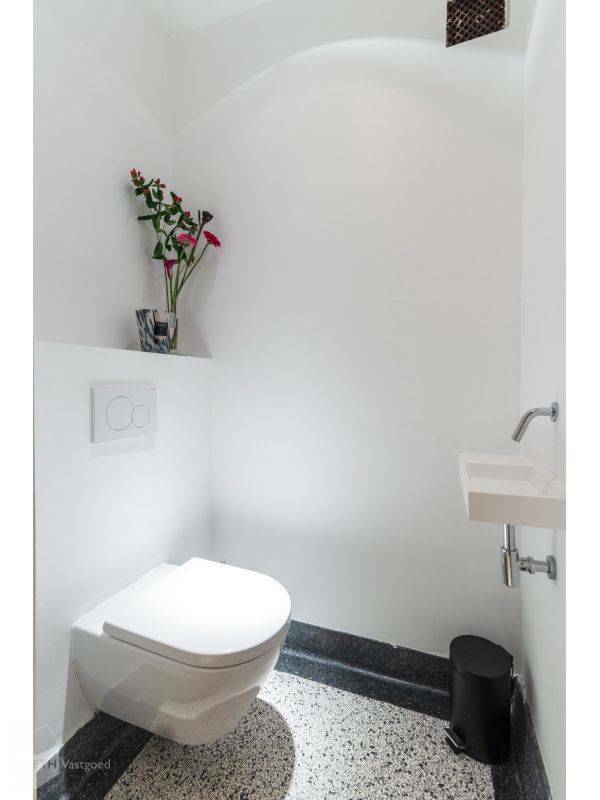 Renewed toilet with fountain. 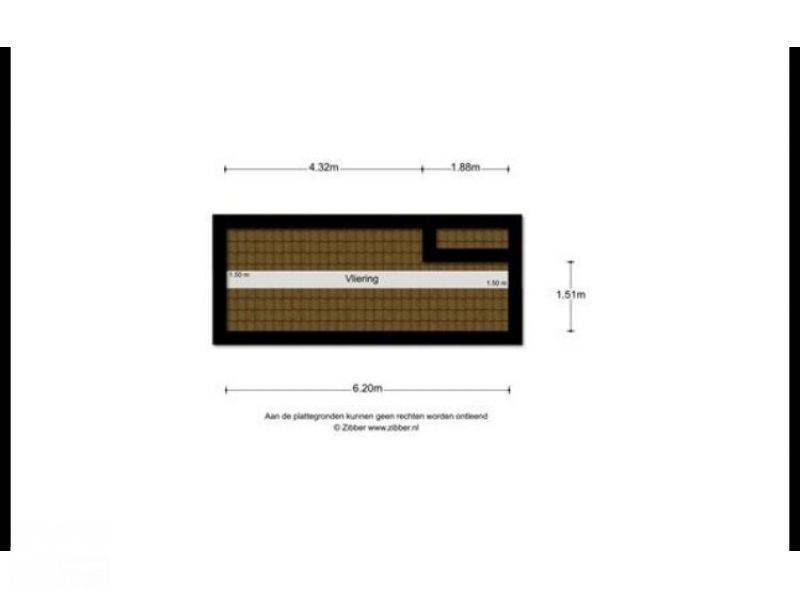 Meter cupboard with electrical installation. 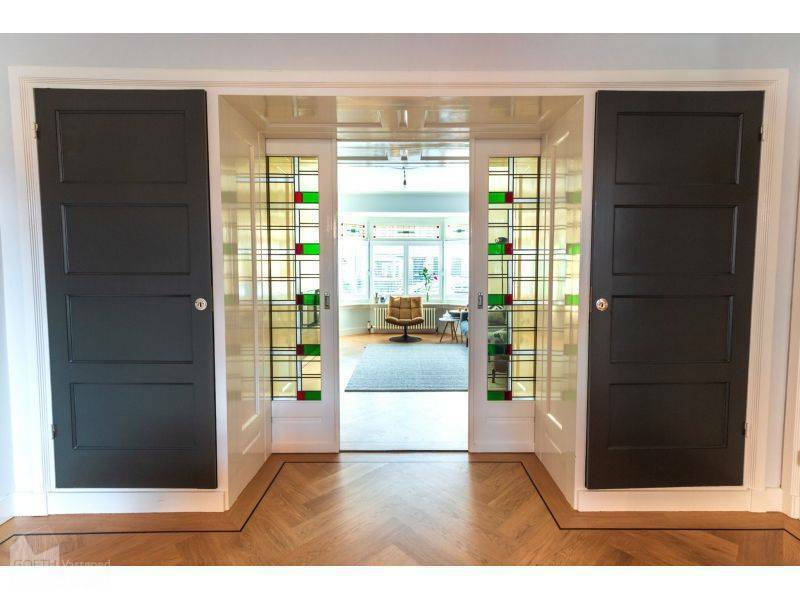 Cozy living/dining room, room en suite with stained glass doors that separate the rooms into two parts. Fine original built-in wardrobes in front and back room. The entire room has a luxurious herringbone parquet floor. 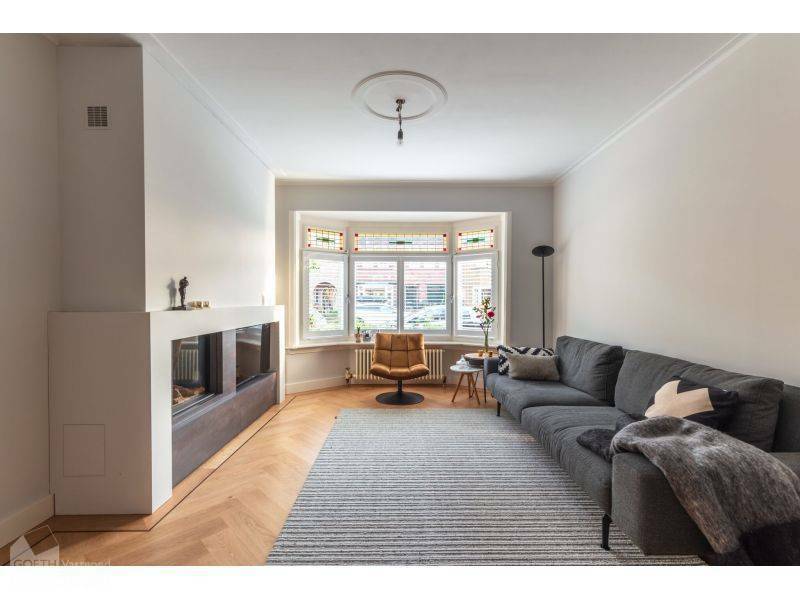 There is a gas fireplace in the front room. 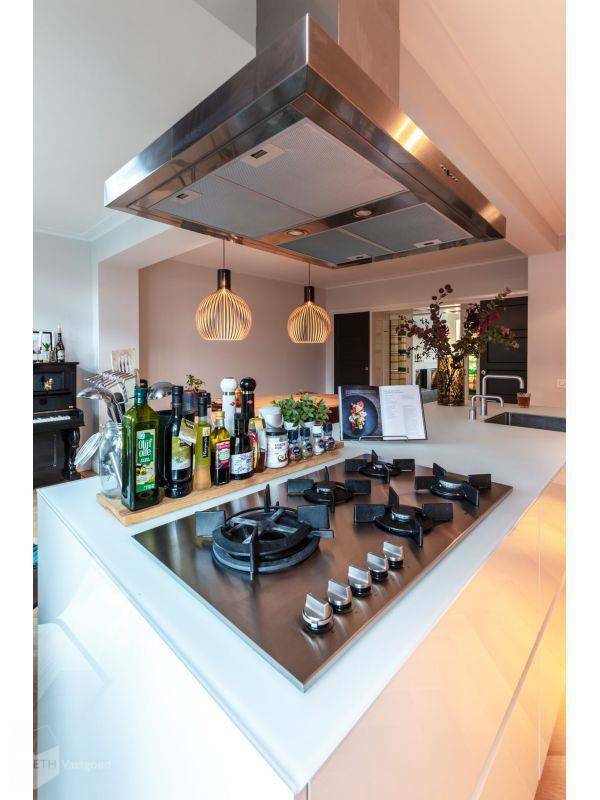 Luxury open kitchen with all imaginable conveniences and appliances. 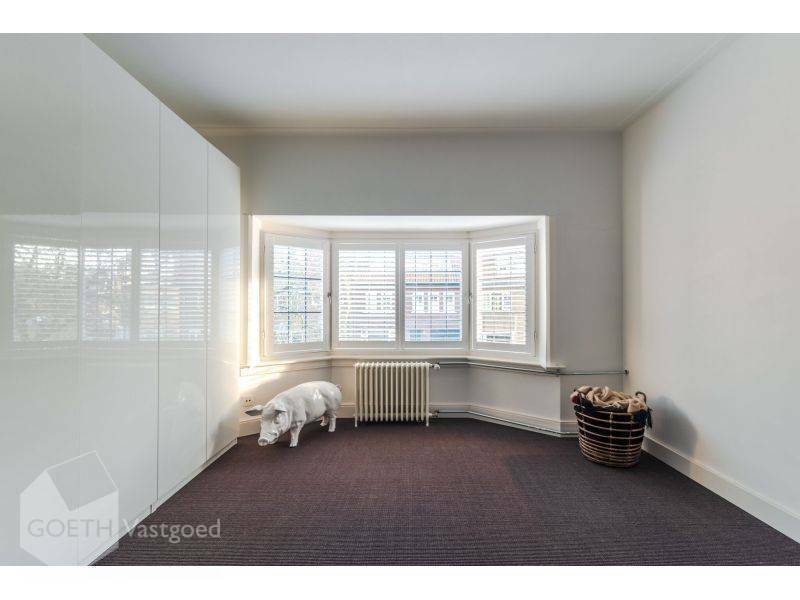 Built-in cupboard with (wine)cellar. 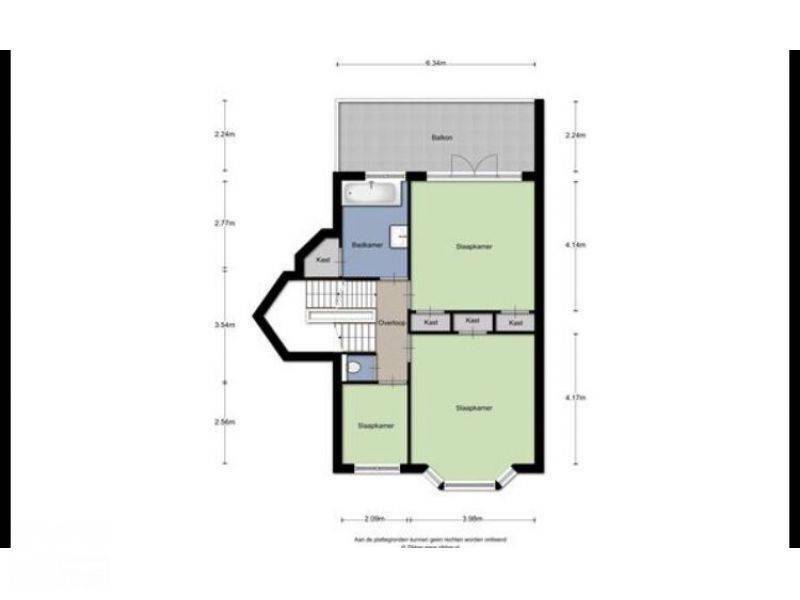 The back garden is accessible through folding doors and a pass door. Landing accessible by a landing stairs. On the landing is a separate toilet with fountain. 3 spacious bedrooms with closets. From the master bedroom access to spacious balcony. 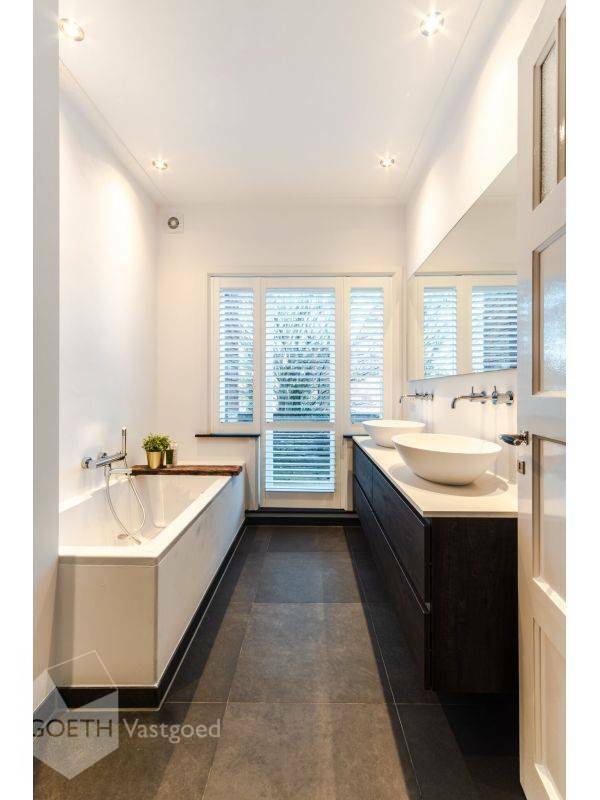 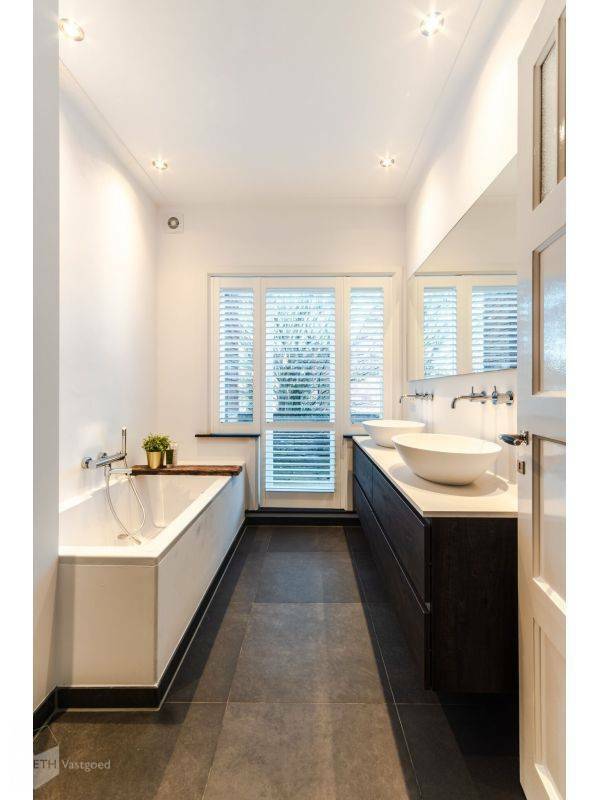 Bathroom with granite floor, bath and sink. Spacious attic with extra sink. 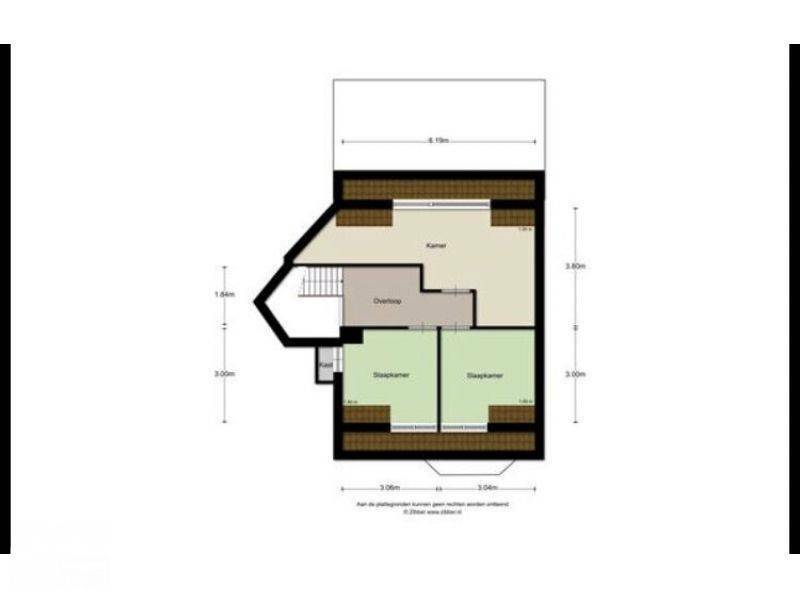 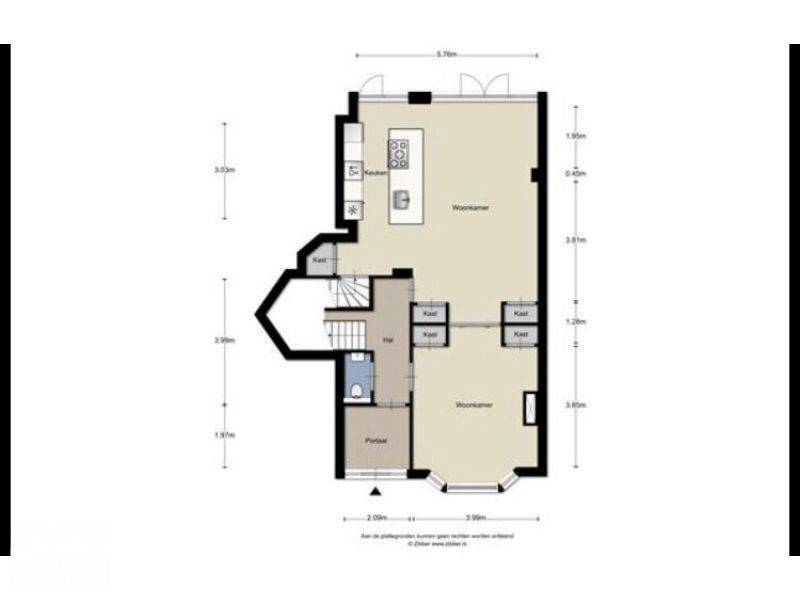 3 spacious bedrooms. 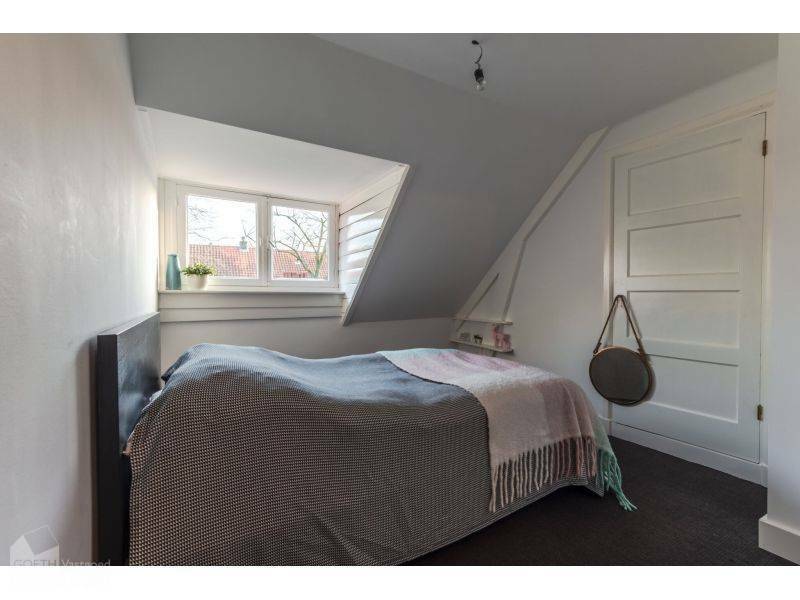 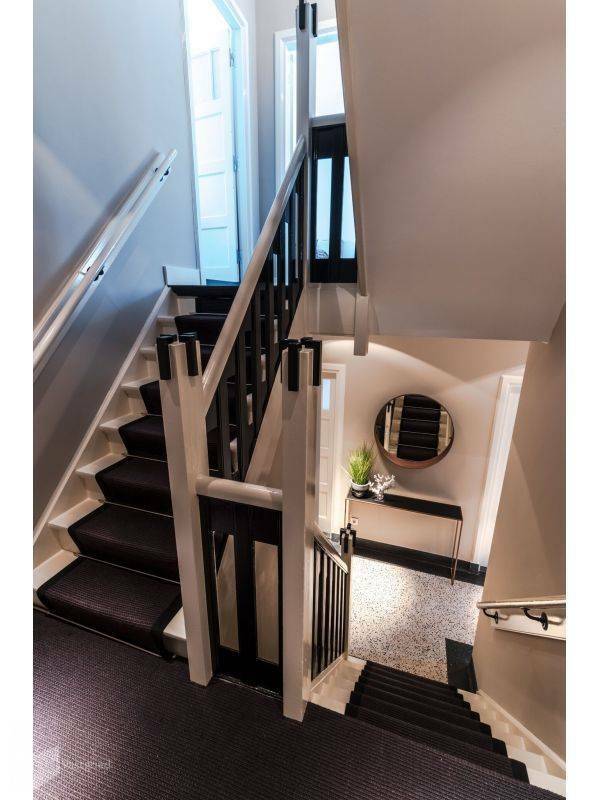 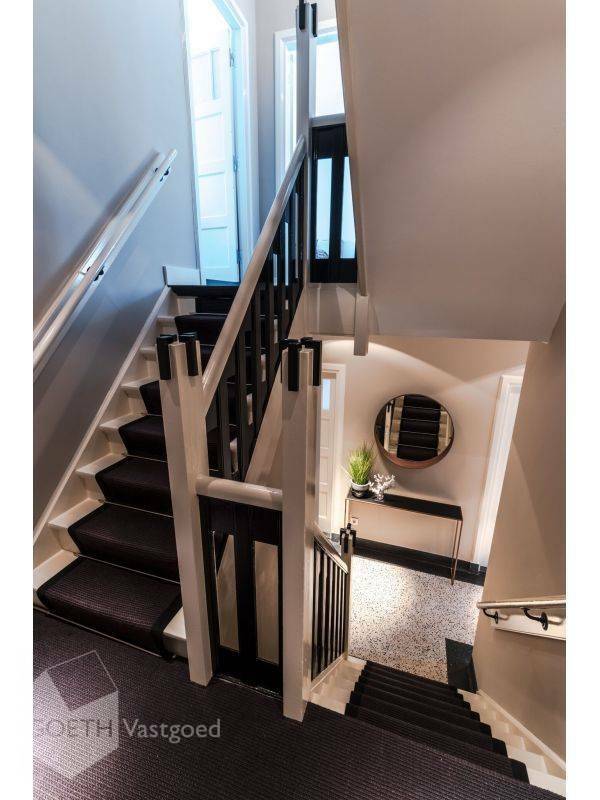 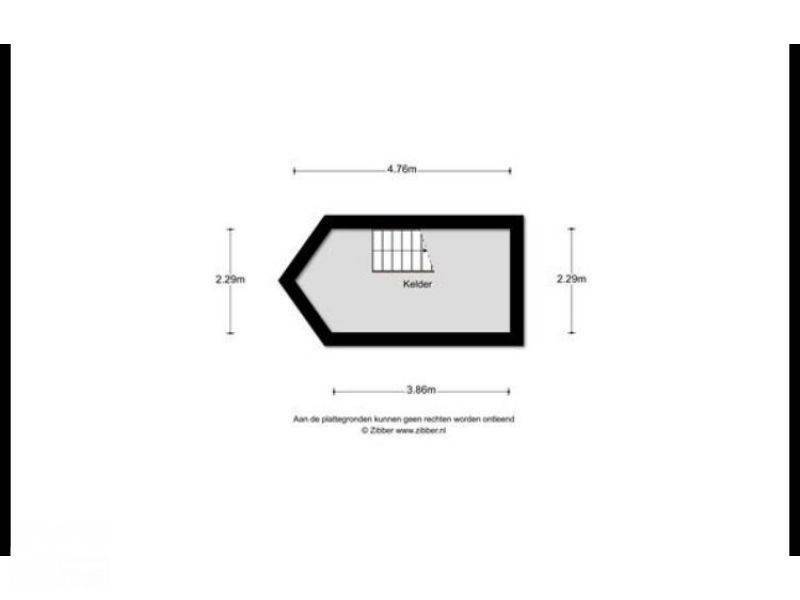 With separate staircase access to spacious attic with storage space. 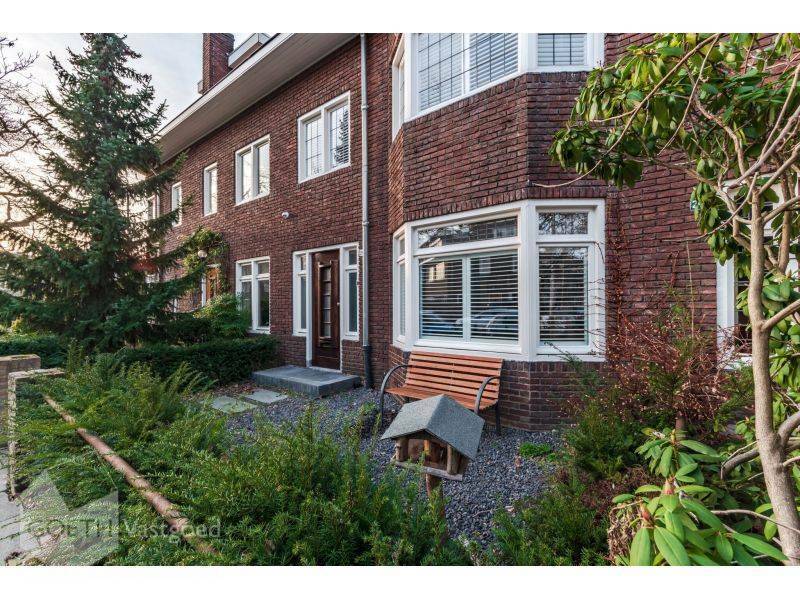 New landscaped front yard. 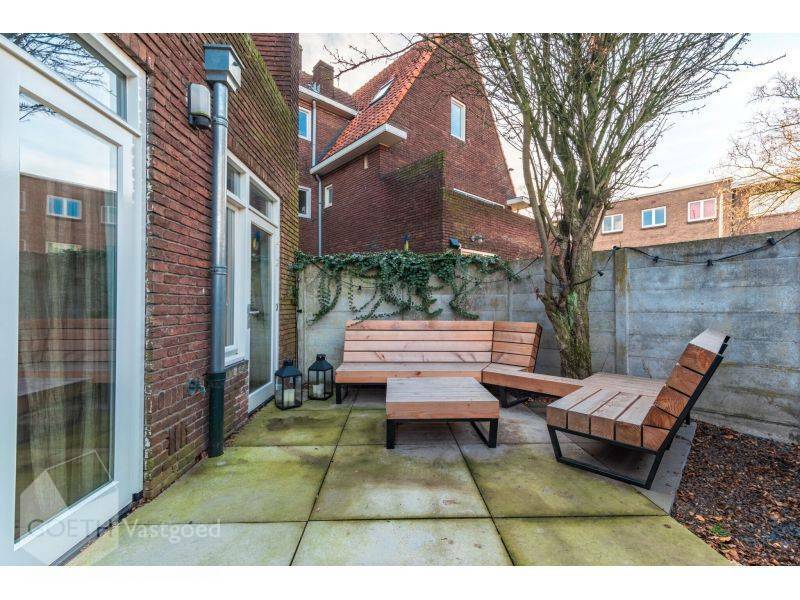 Cozy backyard with detached storage with electricity. Garden facing the southeast.